First things first, what is augmented reality (AR)? 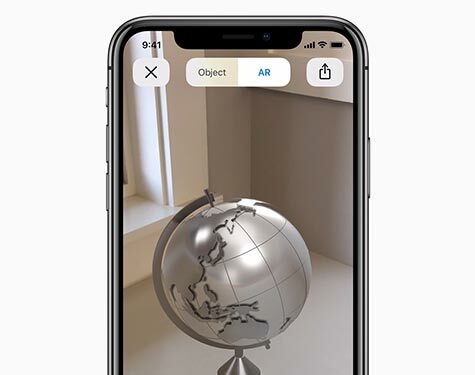 AR is defined as “an enhanced version of reality where live direct or indirect views of physical real-world environments are augmented with superimposed computer-generated images over a user’s view of the real-world, thus enhancing one’s current perception of reality”. If you have used Snapchat filters or played Pokémon Go, then you have already experienced AR. 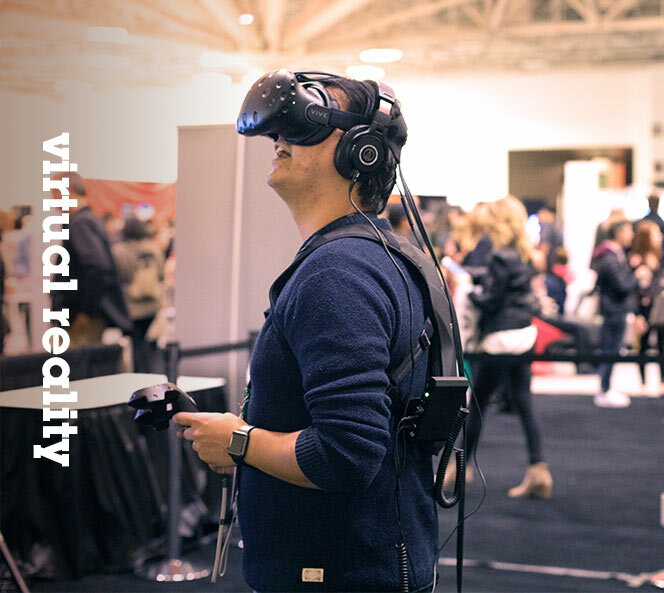 It’s important to note that AR is not VR (virtual reality) which creates an artificial environment a user can seemingly interact with. Want to see an example of AR right now? All you need is the marker on the right pulled up on your desktop (or other device). Then use your phone and navigate to this link (using Safari with iOS and Chrome with Android). 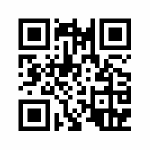 You can also access this link by opening your phone’s camera and pointing to this QR code. It’s cool, right? But you might be thinking: what can AR be used for other than dog filters and Pikachu chasing? 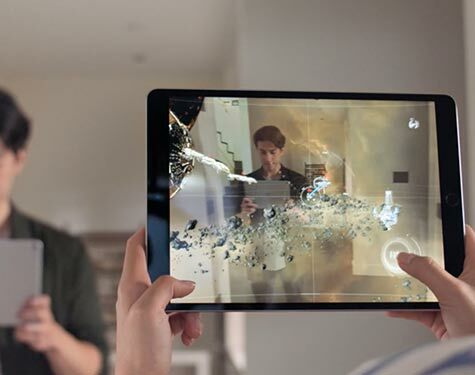 In this blog, we’re going to break down AR further, fill you in on its marketing benefits and give four key tips to keep in mind when using AR for your brand. Here we go. AR is being used today as a way of allowing both two-dimensional (2D) and three-dimensional (3D) augmentations through the screen of a phone, tablet or even an AR/VR headset. Mobile-AR has been the main focus of big tech companies in the past year, who have spent millions of dollars developing and improving this technology. 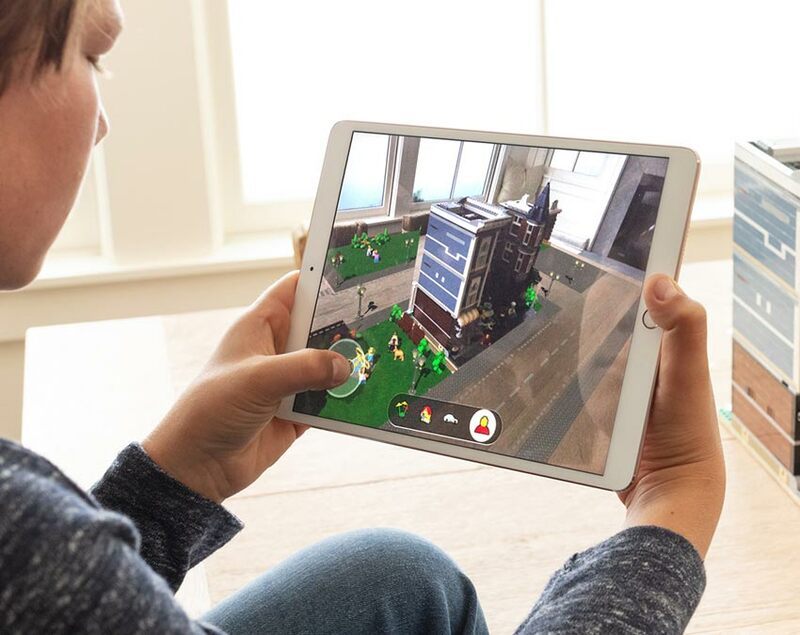 Apple just released ARKit2 earlier this month, the newest version of their AR platform that allows developers to build AR experiences for iOS devices. This new version allows for 3D object detection and shared experiences, among other features. Also, Google launched ARCore earlier this year, their own AR platform. Unlike Apple’s ARKit, it allows developers to build AR apps but for Android devices. Even though big tech companies have been pushing AR technology to newer and exciting grounds, their platforms still require users to install an application on their device in order to fully experience their AR capabilities. Because of this, developers around the world have challenged themselves to develop a web-based AR, which resulted in pure web solutions that work on mobile devices and make it easy for people to experience AR technology. Instead of downloading an app, users can simply open a page on their phone browser and experience an augmentation. However, this solution comes with some limitations. Web-based AR applications require the use of a “marker” to trigger the augmentation on the user’s screen. Also, the lack of a native AR platform to run on prevents the applications from having advanced AR capabilities such as 3D augmentations. Still, the future looks promising for web-based AR. Google has experimented with it and has recently allowed developers to test their new experimental version of Chrome and ARCore that allows for web-based AR. It’s just a matter of time before AR establishes itself as a standard feature on the web. Okay okay, we’ve established AR is cool, but how does it fit into marketing? As AR continues to evolve and become more easily assessable, so does its use in marketing. Many large companies are jumping on the AR band wagon in order engage and interact with customers in a unique way. Take 19 crimes wine for example, one of my personal favorites (which I promise has nothing to do with my love for wine). They designed a wine label that also serves as an AR marker. All customers need to do is download the 19 Crime’s AR app and point their phone at the wine’s label and they are immersed in an interactive experience with the character on the wine’s label. 19 Crimes has been successful with their AR efforts not only because of their solid design and technical implementation of the AR experience, but with the story and brand around it. The company features real criminals with real stories and uses AR as another extension of their already solid brand story. Are you trying to incorporate AR into your marketing strategy? 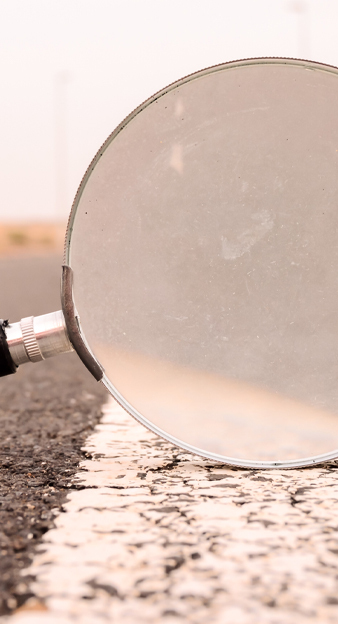 Here are some key things to keep in mind when considering AR for your brand. As with any marketing tactic, you need to know what you are trying to accomplish and have clear goals. Are you trying to increase brand awareness? Promotes a new product or increase overall sales? Defining these goals from the start will help you choose the AR technique that’s right for you. Can users easily access it? One of the limitations with AR is that you need a screen to experience it. Currently, mobile applications are the best way to execute this because they can handle the bandwidth of larger more complex animations and can be accessed anywhere. However, many internet browsers, like Chrome, are catching on and implementing features to execute web-based AR. This is great because users don’t have to take extra time and effort downloading an app. Unfortunately, the complexity of the animations (3D in particular) browsers are able to handle is a work in progress. If 2D augmentations are all you need, then web-based AR might be the right fit for you. Will customers and potential customers get something out of the experience? If an AR marketing tactic is executed to simply be something “cool”, chances are it won’t have much ROI. Users need a reason to take the time and effort to interact with your AR piece and, more importantly, their interaction has to be valuable enough to help you achieve your goals (see #1). When considering AR for marketing, a large focus should be on strategy and what an ideal user interaction looks like. How big do you want to go? AR experiences can range from a simple 2D marker-based augmentation to full on 3D large screen AR immersion experiences. The route you choose will largely be based on your goals, audience and budget, so it is important to establish these from the start. 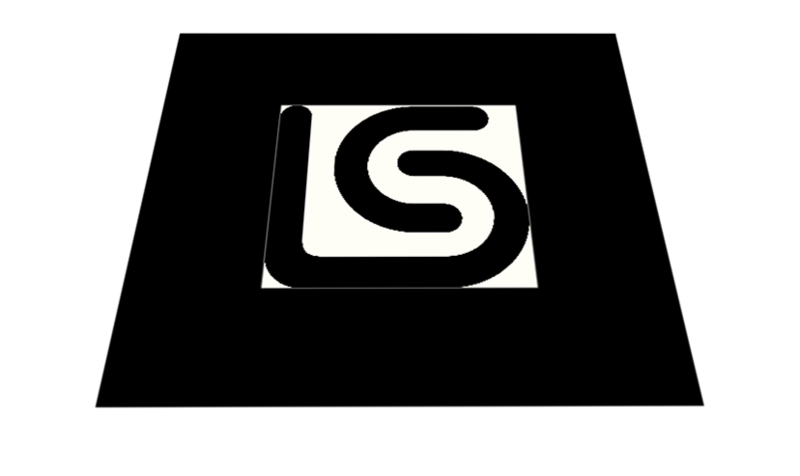 AR is quickly evolving and its capabilities for marketing are endless, which is why we are all about it at L&S. Contact us to see how we can help you take your brand to the next level with AR.